The eBook format allows the device to lay out the text, rather than trying to fit pre-formatted pages to devices of all shapes and size (It is based on HTML). This makes reading an eBook a much easier and more pleasant experience than trying to read a static format such as PDF on a device where the page doesn’t fit. There are portable electronic devices designed primarily for the purpose of reading digital books – the Amazon Kindle is the best known – but eBooks can also be read on tablets, mobile phones (on which the quality can be surprisingly good) and, of course, on laptops, using free-to-download software apps. The eBook readers are, essentially, small-sized special-purpose tablets with superb text display quality and – a big advantage on a long flight – batteries that can go weeks rather than hours without re-charging. As the quality and battery life of tablets continues to improve, they are starting to overtake specialized reader devices, which have one major disadvantage: a lack of standardization. There are a number of different eBook formats, the most prominent being EPUB, an open standard created by the International Digital Publishing Forum, KF8, the proprietary format used by Amazon Kindle, and Mobipocket, a format that the Kindle will also handle (There is an excellent Wikipedia article on eBook formats, see http://en.wikipedia.org/wiki/Comparison_of_e-book_formats). You can read any of the most popular formats on a tablet (or PC, Mac, iPhone or Android device) using a software app, but you are likely to find that a specialized reader device is limited in the formats that it can handle. Many of the Open Group SOA Standards and Guides are now freely available in the EPUB and Mobipocket formats from The Open Group bookstore. See http://soa-standards.opengroup.org/post/eBook-Versions-of-SOA-Standards-and-Guides-5884765 for the current list. We are hoping to make all our new SOA standards and guides available in this way, and also some Open Group publications on Cloud Computing. 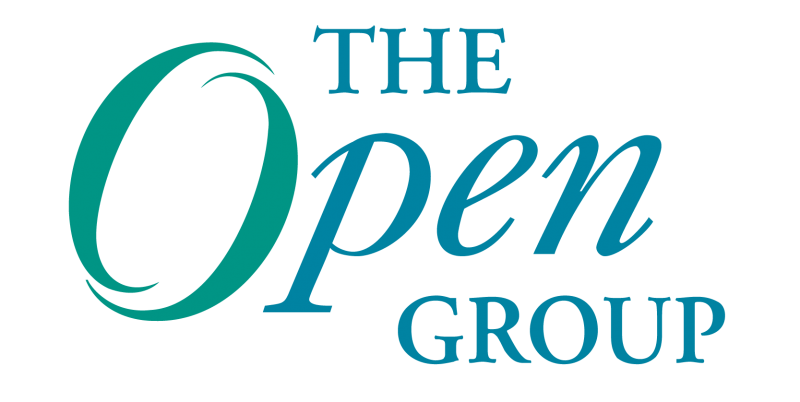 EPUB versions of TOGAF® Version 9.1, the TOGAF 9.1 Pocket Guide and the TOGAF 9 study guides are available for purchase from The Open Group’s official publisher, Van Haren. The SOA and the TOGAF EPUBS can be obtained from The Open Group bookstore at http://www.opengroup.org/bookstore/catalog . Thirty years ago, I used to attend meetings of the CCITT (now the ITU-T) in Geneva. The trolleys that were pushed around the UN building, piled high with working documents for distribution to delegates, were an impressive sight, but the sheer weight of paper that had to be carried to and from the meetings was a real problem. Laptops with Internet access have removed the need to carry documents. Now, eBooks are making it easy to read them while traveling! We have started to make eBook versions of our standards and guides available and are still exploring the possibilities. We’d love to hear your thoughts on what will or won’t work, and what will work best. Please feel free to share your ideas in the comments section below. Andrew Josey, director of standards at The Open Group, contributed to the technical aspects of this blog post. Dr. Chris Harding is Director for Interoperability and SOA at The Open Group. He has been with The Open Group for more than ten years, and is currently responsible for managing and supporting its work on interoperability, including SOA and interoperability aspects of Cloud Computing. He is a member of the BCS, the IEEE and the AEA, and is a certified TOGAF practitioner. Next Post: The Increasing Importance of Cybersecurity: The Open Group Conference in Washington, D.C.